It is honestly a miracle how so many teens continue to indulge in ridiculous and frankly stupid ‘challenges’ on the internet. These ‘challenges’ are designed by trolls to intentionally hurt people yet so many still continue to fall for them. 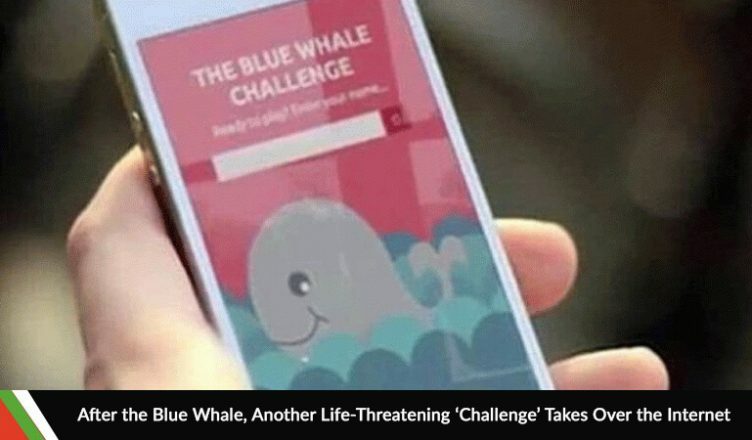 All of us were were witness to the idiotic and life-threatening tide pod challenge a few months ago and before that the blue whale challenge– both of these took lives of many. And now just like before another life threatening challenge emerges. It did not however, start recently. It first took birth around 2013 when Vine was getting popular but the trend died and was forgotten by many. But it did not die, instead it was dormant and has re-emerged now. So What is the Condom Challenge? You would not believe me if I told you. Teenagers have a surprising ability to surprise adults with either their bravery and courage or their stupidity. The condom challenge basically entails one to inhale a condom through a nostril and then through their nose canal pull it out of their mouth. That is it. I do not think I need to tell you of the dangers of this alone but let me just put it out there for anyone reading. Asphyxiation, poisoning, infection, lung collapse the list goes on. It is obviously very, very dangerous to attempt this foolish challenge, is it not? Teenagers will do it despite the fact. It is reckless and careless, but that is just what teenagers are. Should Parents be Afraid of this Challenge? Yes, very much so. Although the Condom Challenge ot Condom Snorting Challenge is relatively unpopular at the moment, it may soon gain massive popularity as time goes on. This is a pattern that was observed with many other online challenges. Just when you think you have reached the limit of stupidity and recklessness on the internet- something like this pops up. Parents should really drill the concept of common sense into their kids and how they should avoid things that might put their life in danger. I know you are probably thinking that that sounds ridiculous but then again we had so many deaths with the tide pod challenge and other various challenges on the internet- that you begin to think if we really are lacking in it. Maybe parents feel as if though they do not need to since it is so obvious to them. But what those parents fail to realise is that their children might not think along those lines. They might not even know, I mean how they would if you, their parent, have not told them. The reason these challenges catch on is the nature of challenges itself. It is enticing to think that you can overcome it and then pass it on to others. It was the same with previous ones. You want to prove to your peers that you can overcome this seemingly dangerous thing and then show it off. That is a important aspect of these challenges- the bragging rights. Teens will often film themselves attempting these challenges and then if they succeed they will post to social media. They will get a few likes, a few comments praising them and that is that. But then some other individual wanting the same attention and also wanting to overcome this challenge will attempt it. This individual may not be as lucky as the previous one, they might hurt themselves or potentially even kill themselves. What Can Parents Do To Stop This? Well the number one thing parents can do is keep a stricter eye on their internet usage. Most, if not all of these life-threatening challenges start and get spread on the internet. Parents can use this to their advantage and use parental monitoring apps like XNSPY to monitor their internet usage. XNSPY might be the only parental monitoring app that allows you to monitor almost every messaging app. Parents will also need to monitor online internet browsing history or general activity. Thankfully, XNSPY has that covered as well so you can rest easy. The internet is tough to regulate maybe even impossible honestly. Thus it falls on parents to keep a better eye on what their kids are doing- if they are participating is ridiculous challenges or not. Even if not, parents need keep an eye on their children’s internet usage as it is. The internet is a big scary place but it can made less scary if you keep track of it. Why Do Dangerous Challenges Like These Keep Popping Up? There are multiple reasons. One like I mentioned before, is the very nature of challenges. People want to overcome these odd challenges then boast about it to their peers. Just that feeling of accomplishment is what drives many. There is also that feeling of being part of something bigger. Most of these challenges appear worldwide and it seems like everyone is talking about it or taking part in it. Social media posts, news articles, videos appear everywhere about it and suddenly you want a part of it. Just that feeling of inclusion and being part of something that is big is pretty exciting especially for young people. They are trends. Just like anything else. They will pop up, millions of people will take part in them and when everyone has had enough they will move onto the newest most exciting thing. Everyone is guilty of it. But these online challenges take this up a notch because there are so many trends sometimes going on at the same time and there are so many people taking part in them. Unfortunately, dangerous trends like these will continue to pop up and continue to prey on the gullible. It is your job as a parent to stop them from taking advantage of your kids. To do that you will need to take the help of every tool at your disposal and whatever means necessary to ensure the safety of your child.